Able Mod Brass - Avid Lyfe USA.24mm. Competition Mech Mod renowned for it’s hard hitting performance & interchangeable sleeves. Available with Carbon Fibre. The Able Mod by Avid Lyfe comes with the carbon fibre sleeve as standard and is boxed with a quality control certificate and instructions and a link to the user manual printed on the inside of the box. The Avid Lyfe – Able Mod is one of the most coveted mechanical mods on the market. Known for their hard hitting competition performance, highest quality CNC machining and customisable sleeves. Each individual Able mod is de-burred, checked over and signed off by hand to ensure each device lives up to the quality reputation that Avid Lyfe have built for themselves. The Able is made from either 110 Oxygen-free copper or 464 lead-free Naval Brass and each device incorporates a 110 copper firing pin. The unique design of the 24mm diameter “Top Hat” 510 hybrid connection allows any RDA to completely flush without any battery rattle thanks to the threaded hybrid connection that screws down tightly to meet your chosen 18650 battery. The firing button incorporates a rare earth magnet for a consistent throw and the unique threaded design allows the throw length to be customised whilst also providing the option to completely lock off the button for safety whilst not in use. The Able comfortably matches up to the performance of any hard hitting, high end, competition mechanical device. What sets the Able apart is the customisable sleeves that are easily interchanged to pair the appearance of the mod with your chosen RDA, Top Cap or Drip tip. 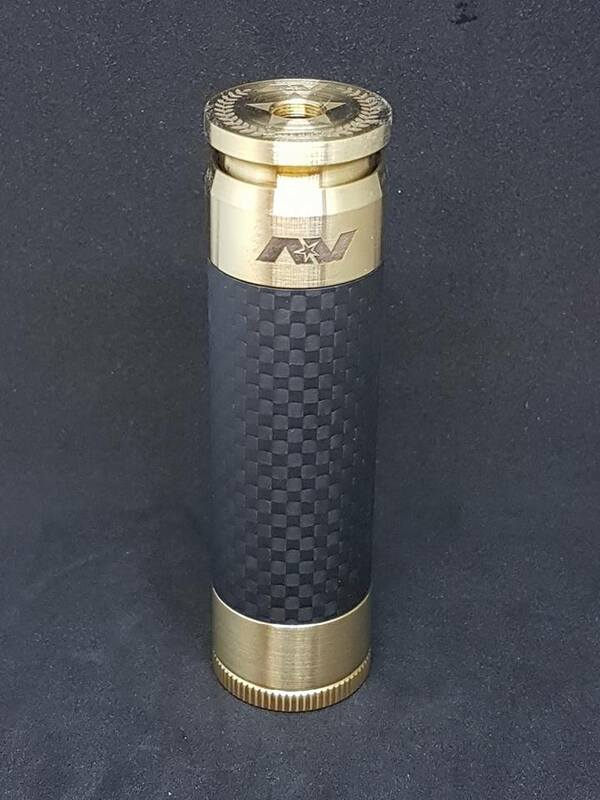 Avid Lyfe make some really beautiful able sleeves with matching top caps and the able is available with either a carbon fibre or matching brass/copper sleeve. We also love the Half Moon Mod’s acrylic sleeve and tip combo’s that fit perfectly in a Kennedy or Goon RDA to complete a beautiful eye-catching set up.